Response from Charles Tyrwhitt: Over the years, we have improved the fit of our chinos using the feedback received from our other customers as a guide. 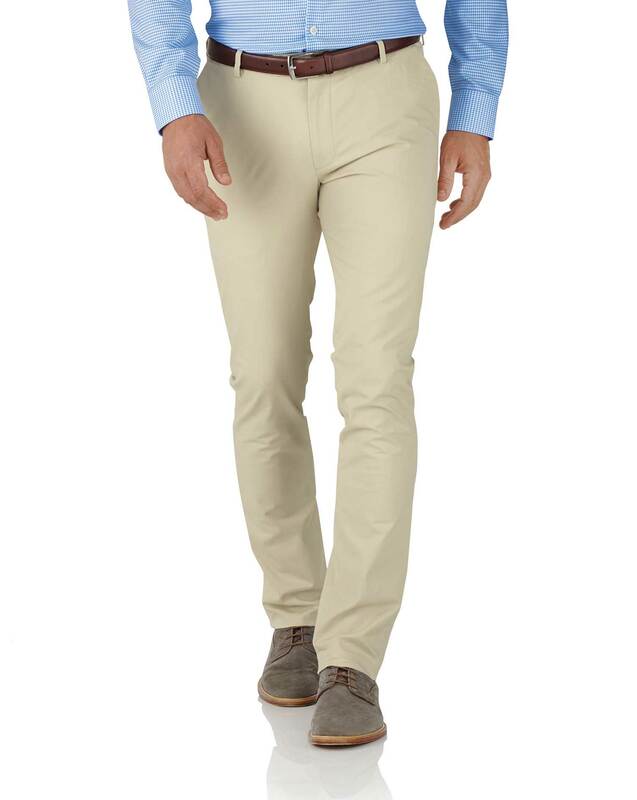 I am sorry you have found the stone chinos to be unsuitable on this occasion. Please be assured your comments have been shared with our Buying Team and as we'd love for you to enjoy the products you order. You are of course more than welcome to exchange this item if you'd like to try an alternative size in the extra slim fit range. Alternatively, we will be happy to refund if preferred. Response from Charles Tyrwhitt: It's a real shame your chinos didn't fit perfectly on this occasion, but please don't hesitate to return them to us and seek an exchange. Whether you opt for one size larger or switch to a Slim Fit, I am sure we will be able to get you a pair to fit just right! Would be better suited to a tall, slim individual - didn’t suit hubby’s solid torso but slim hips, unfortunately. Great fabric and colour though.